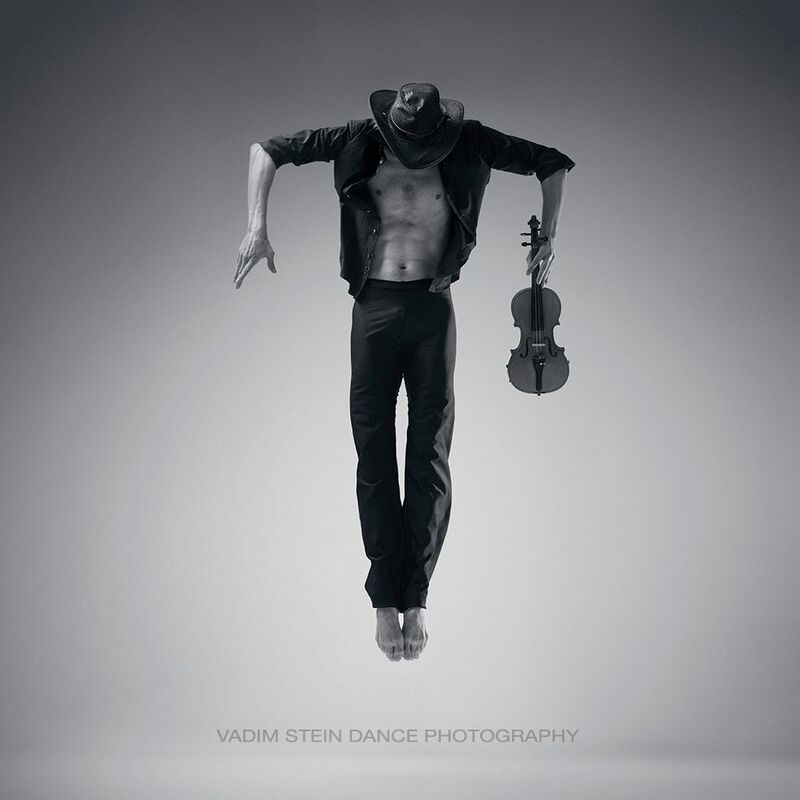 St. Petersburg based artist Vadim Stein identifies as a photographer, videographer, sculptor, and stage designer. 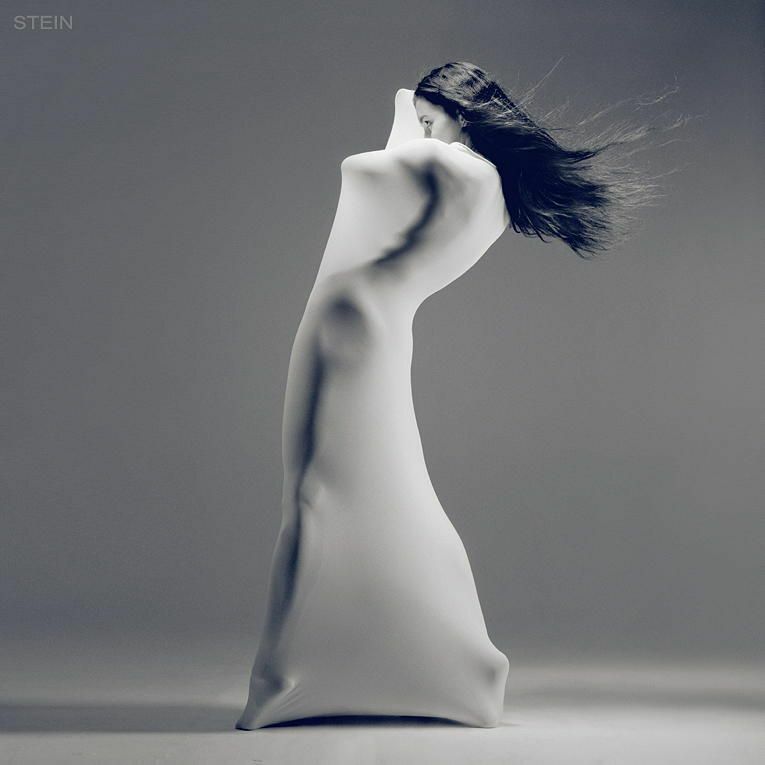 His career as a photographer began shortly after his time at The Theatre of Plastic Drama, a Kiev-based company where he worked as both an actor and a lighting designer. 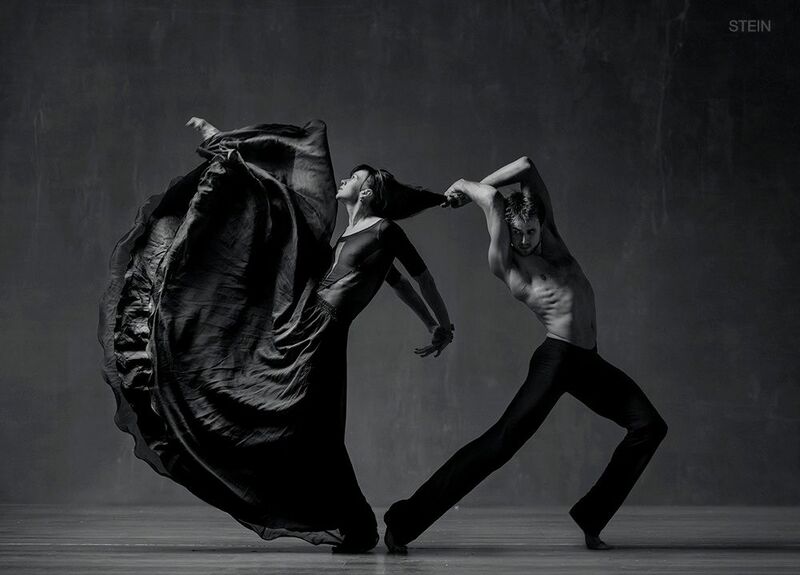 Like dancers, the actors in such productions do not speak; instead, they must rely solely on corporeal movement and emotive music to communicate and express themselves. 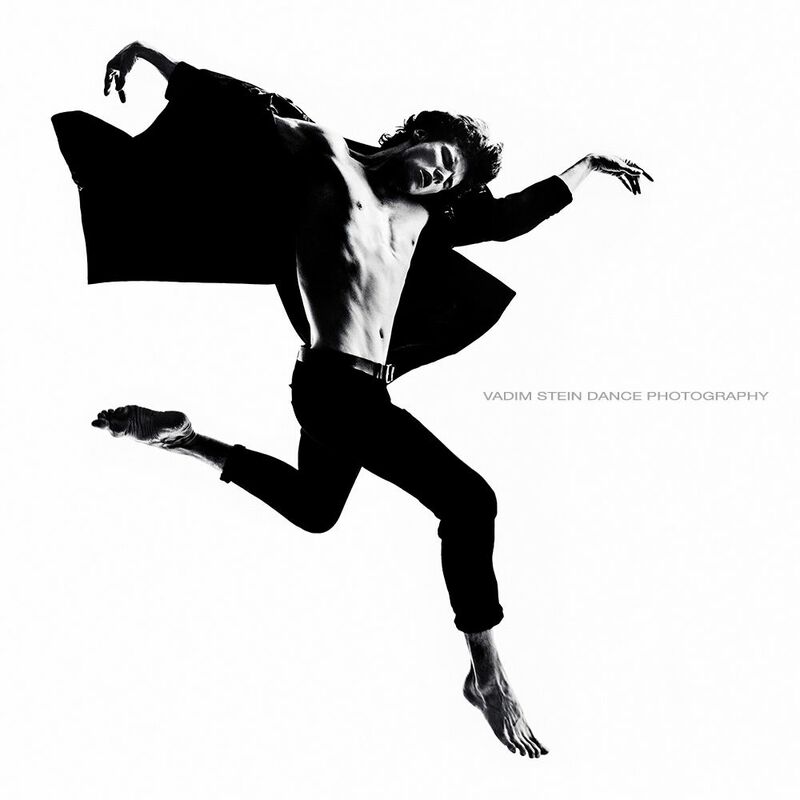 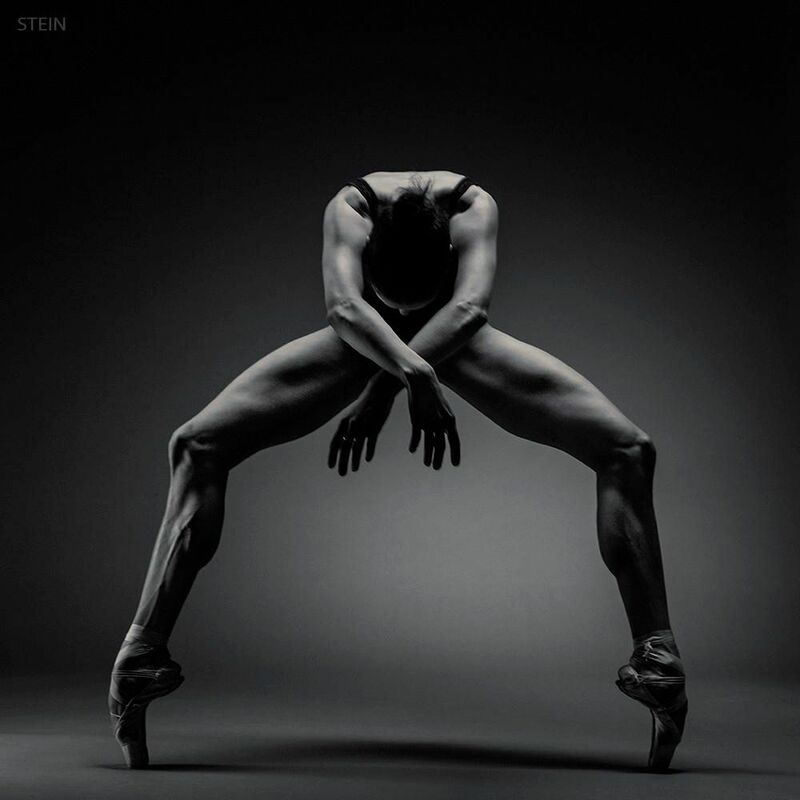 With comprehensive experience both on-stage and behind-the-scenes, Stein has undoubtedly incorporated his passion for movement in his photographic studies of dancers. 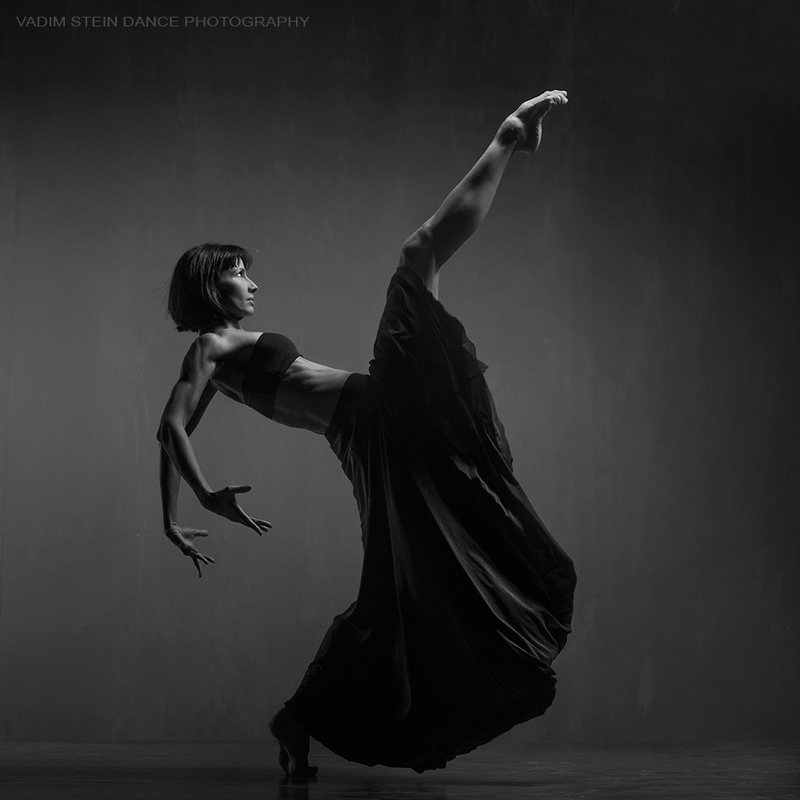 The powerful pictures present dynamic dancers in motion. 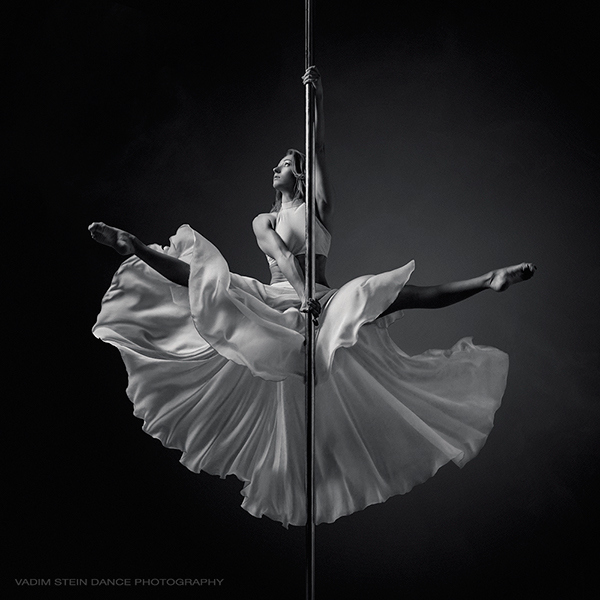 Solid, unadorned backgrounds and a stark, black-and-white aesthetic set a dramatic stage and place all focus on the featured figures as they theatrically twist, bend, and contort themselves into seemingly impossible positions. 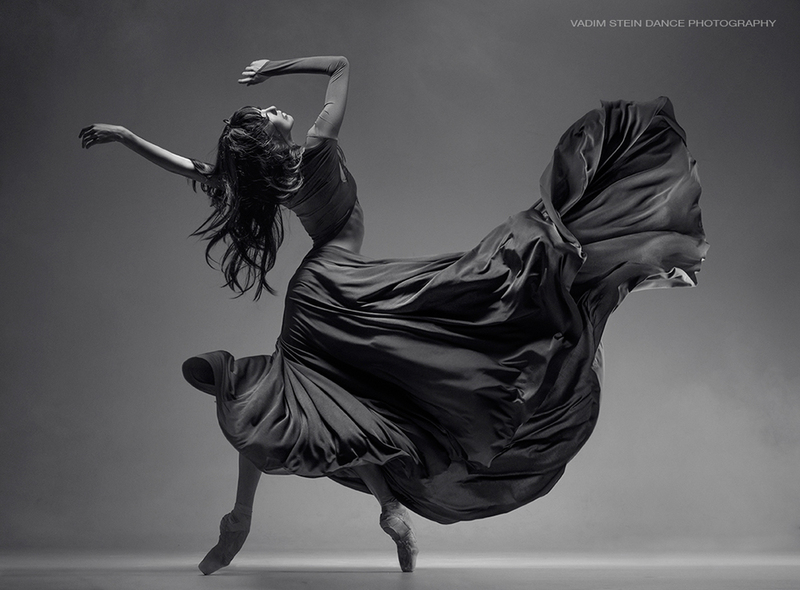 Some subjects are photographed alone, while others pose in pairs and passionately interact with each other. 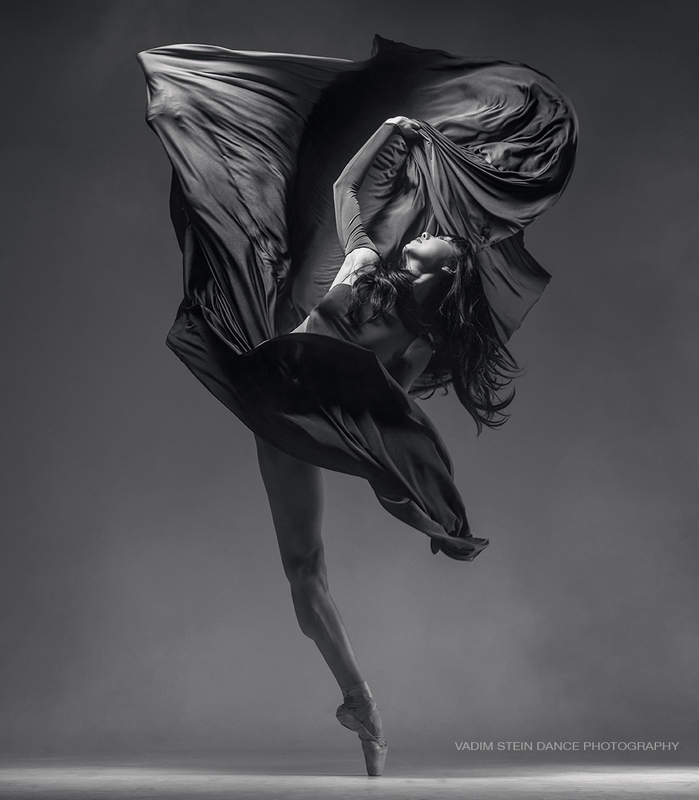 Whether dressed in discreet undergarments or flowing, draped dresses, the dancers gracefully showcase the strength, skill, and flexibility required by their craft – no words needed.